The last time I ice-skated, really ice-skated, I was with my then-BFF Rebecca McCullers, and we were trying our best not to fall in front of the boys while having our own frosty dance party to Madonna’s latest. I distinctly remember my Ice Capades ensemble: borderline-lethal metal orthodontics, Day-Glo earrings, stretch jeans, and a Material Girl headband. Oh yeah, baby. 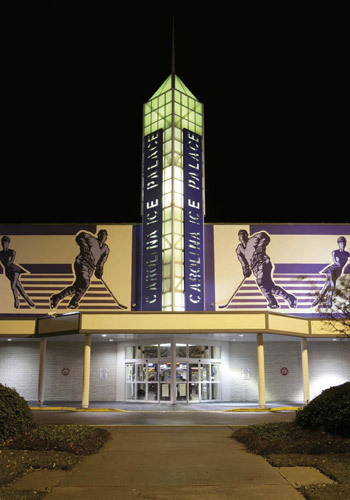 Flash forward some 20 years, zap over to North Charleston’s Ice Palace, and I have to say that what goes around most definitely comes around. Proof positive? A few Fridays ago, my pal Rikke Fryman and I inadvertently crashed what amounts to a post-toddler, tween, and teen ice paradise, where the oldest giggling girls still try to catch each other before klutz catastrophe strikes in front of—gasp, witnesses. And on the fashion front...well, let’s just say the hippest of skater chicks zipped by our wobbly selves wearing skinny jeans, a pink flannel top, neon peace earrings, and—God bless her lucky cold tush and dental evolution—Invisalign braces. Piped down from above and cascading all about her highness? Bye-bye Janet, hello Rhianna; see ya, Madge, it’s Lady Gaga’s turn now. But while many things were relatively the same, there were some differences. For one, the ice seems a little less forgiving. And me? I’m apparently a little less adventurous, especially with post-pubescent pounds and without my fly headband. Same went for Rikke, who I invited because I figured, as a Danish expat, she was an ice ace. Not quite. Apparently, the last time she hit the cold stuff, she was a tween herself, and in the years since, she’d broken her ankle in a few places. Between my wonky pirouettes (though Olympic in spirit) and her ankles, we were not the smooth operators I had fantasized. Still, the camaraderie and that youth-for-years trade-off (fading self-consciousness) made the night a fun one. We wended our way around the pristine rink a few times then hit the bleachers to take in the scene. Rental skates still look like orthopedic boots, even more so when paired with the newfangled “ice walkers,” PVC pipe concoctions that less confident skaters cling to while flailing across the ice. 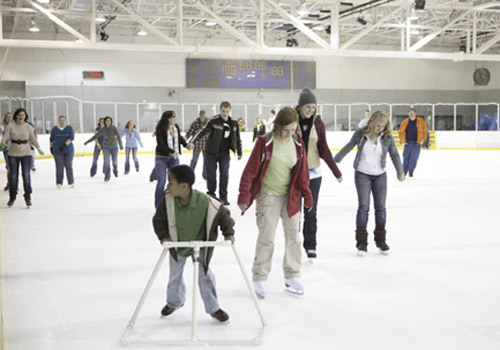 Available in both kiddie and adult sizes, the walkers turn users from agile bipeds off the ice to skate spazzes as soon as they touch the frozen stuff. From a bystander perspective, watching this contingent constitutes high entertainment. When we worked our way back onto the ice for some end-of-the-evening show-off moves, Rikke struck rink gold. We tried out some follow-the-leader silliness that ended with a teen fellow shooting to her side. With his floppy blonde hair, square jaw, pocketed cap, and rockin’ hockey skates, he was an ABC Family heartthrob come to life. Rikke’s darn cute, and in her pink knit cap, matching mittens, and chic Copenhagen scarf, she was definitely getting her ice princess, version 2010, on. As he showed her how to overcome her ankle issues, I worried the ice would melt under the gaggle of girls that hovered in the wake of his swooning kindness to a stranger. But after a few minutes, he moved along, and we made our way out. On terra firma, I high-fived Rikke, and we giggled back to our cars. Yep, the more things change, the more they stay the same. 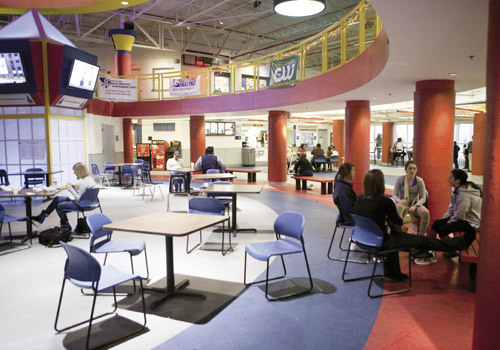 Public skate hours change daily and seasonally, so visit the website for details. On Wednesdays from 7-9 p.m., women 18 and up skate for free.